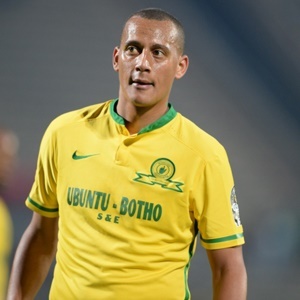 Cape Town - The Premier Soccer League (PSL) Disciplinary Committee has delivered a verdict on matters involving Mamelodi Sundowns and Wayne Arendse. The Disciplinary Committee found both the club and the player guilty of misconduct. This comes after Mamelodi Sundowns fielded Arendse - while ineligible - to play in the Absa Premiership fixture against Bidvest Wits on October 7, 2018. The match finished in a 1-1 stalemate. "Sanctions will be handed down once all the parties have made submissions to the Disciplinary Committee," a PSL statement said. If the sanction is in keeping with a similar ruling handed down to Ajax Cape Town following last season, Sundowns will lose the point they picked up for the draw, while Wits will be handed all three points - as well as a 3-0 final scoreline. Should that be the case, it will greatly alter the complexion of the current PSL standings which Sundowns lead by three points from both Orlando Pirates and Wits. In addition, Sundowns and Arendse are likely to face a fine.